Previous Post What is in the Closet? Wow! I can so appreciate how this question may arise. I think of that very question just about most of the time. LOL! Before you know it, the (What I think of it as) “Bunny Blogging” is multiplying posts one right after the other. A perfect example is my blog… Topic “Mental Health” – However, I enjoy writing poetry, always have. Then, I see other bloggers offer up these wonderful ideas to join in with prompts. I try to find balance in the mix. I may write up to 3-5 post a day too, but I pick and choose what I want so it’s not so overwhelming to me. You definitely don’t want “Blogging Burnout” to occur… So, just find a balance of your topic still being generated, and a little mix of this and that. Thanks a lot, it does make it much more clearer. And thanks for sharing your feedback. Great advice. 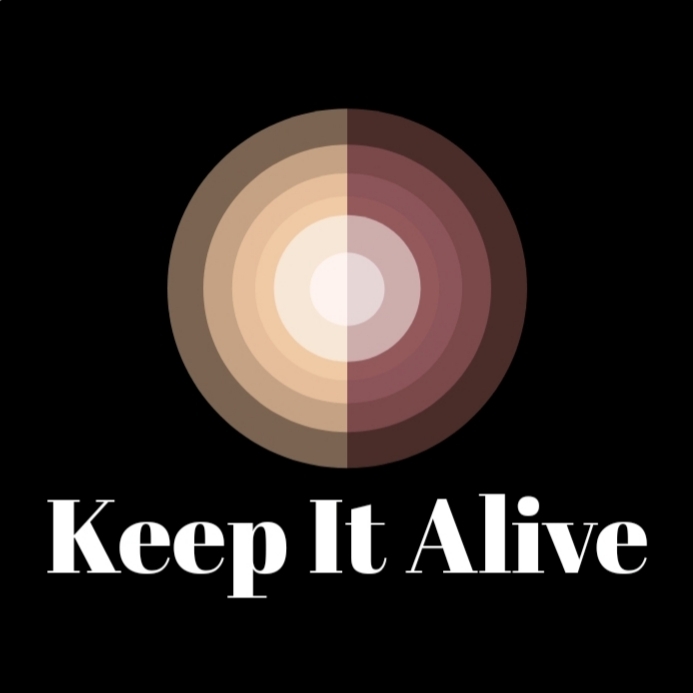 REBLOG: Sadje of “Keep it Alive” brings up a really good question about the subject of blogging too much… What are your thoughts on this matter? Thanks a lot Beckie. Appreciate it. I know exactly how you feel Sadje. I post a lot as you know, though the past couple of days it hasn’t been so many. I’ve cut down on the challenges though keep to a few favourites because I enjoy them. Variety is good and if you’re happy to post often, do so. For your preferred topics you can always write them and then schedule them. You’ll find your own balance. We are all different, but at the end of the day, we have to enjoy what we do, otherwise what’s the point? You’re so right Di. And I do enjoy what I write. It’s great to do both writing and interacting with the other bloggers. Thanks for sharing your feedback. 🙂 Did any of your readers complain about you posting too often? Anyway, intuitively, you would know if you are posting too often or not. If you are publishing articles on your blog five times a day and it leaves you exhausted, you are probably posting too often. However, if you are publishing content on your blog five times a day and you feel great, then all is well. Exactly, my take on the matter. It’s all dependent on you, as the blogger. Do what makes you happy, and not to appease others. I wish I could post everyday, but my schedule doesnt leave me room to do it. If I feel led to post 4 times a week, then Yes! I feel accomplished, but for now I feel steady with posting 3 times a week. Sometimes, it’s cut to 2 times a week. But I do agree, writing more helps to develop the craft and allows the words to flow more. As the school year comes to a close, I’ll have more time to blog. I enjoy your writing Sadje, just do what you love. Thanks a lot! It is good to know that you’re enjoying my writing. Oh I do love it. And no one has complained. Everyone is always kind. Thanks for sharing your feedback Renard. It really depends on how you feel, like everybody said. Another question, do you think you would have grown a Community so fast if you had only been writing about your target topic and once or twice a Week ? Another up side to the dayly prompts is the visibility it gives fellow bloggers 🙂 Do What feels right and works for you. Thanks Tom. I think I will have to find a balance between the two. I would say four or five times a day is fine. But it isnup to you. It’s your Blog. If you enjoy doing it jyst go ahead. But I do understand your worry about clogging peopke)s Readers up. I pist FAR too often, and I know it! I worried about clogging people’s Readers up. But when I asked, no one complained, though I am open to complaint. I still think, though, that they are our Blogs to do as wenlike with. Peoole can give some of our pists a skip if they want to. Yours is a goid Blog Sadje. Thanks a lot dear. I appreciate your feedback and kind words. Yes, we will. Thanks again. Sadje, I can relate to that tension between responding to prompts to build community around your blog, while writing about the topics you care about. Have you tried keeping your focus while responding to the open ended prompts? I mean look for a hook in the prompt, it may be something literal or figurative, and stay true to the topic that interests you while responding to the prompt. I notice that Fandingo did that really well with his poem about Fracking, responding to Sue Vincent’s prompt. A very unlikely subject matter, but it fit right in with the image. Good luck with your writing and blogging! You should blog for yourself and not how you think other people should feel about your blog. If that is what keeps you happy than continue doing it. You have to decide what you want. I personally have WordPress set that all blogs go straight to my email. Sometimes I get up in the morning and have 85 emails to sort through. I always read the content but don’t always like or comment. Thanks for sharing your feedback Len. Email notifications are not easy to handle. I switched everything to wp reader. I feel bad for anyone who gets my posts through email lol. I am back up to 5-7 posts on a slow day and 15 on a good day. I also have Medium going where I do a variety of stories and “real” blog posts that I submit to publications. I only do 1-2 posts a day over there though. Creative writing and “articles” are two separate entities, but can easily co-habitate. Diversify or specialize…it’s your blog. What makes you happy? The joy about WP is that people can read the tag and decide if it’s something they would want to read. For my blog, I average 50 views on a prompt, 25 likes, and about 10 participants, but for my stories I still hover around 15-20 views. There is a clear difference between the two, but it is what it is. You may find the same for your posts (between articles and creative writing). It all boils down to doing what makes you happy without creating a “job”. I say do you! Sometimes I find I can’t read all the wonderful bloggers posts and I typically scroll past the prompt style posts because I see those in multiples. With that being said, I would write what you want when you want. Leave it up the readers to read what they choose. Hopefully it will be a nice balance. Thanks a lot for sharing your feedback. I appreciate it. I am sure there are bloggers who would feel like screaming if they see my site name appear with another BAKE-OFF post. I am only going to do this one day a year I promise. Normally…I am content with a lot less! If you are enjoying your blogging don’t worry too much. You are a very pleasant blogger Sadje and it always a pleasure to see your posts appear. When I am deciding whether to follow a new blogger, I do often look at how frequently they post. Once a day or less, I will usually follow them. But if I see they publish several posts a day I am unlikely to follow them, only because my WP Reader is so busy already. Thanks a lot Mel for sharing your feedback. I am glad that you’re enjoying my blog. i think you are just like any new blogger, we need to stretch our limits and also hone skills, but never write for someone, write for yourself, when the goal is to see likes or gather comments it can become dull and not rewarding anymore. i appreciate that you want to write more meaningful posts those would get my attention, not just words prompts, and sometimes there just isn’t enough time in the day to read so many posts. having said that it is your blog and you have full control what you like to see on it and how it evolves for you. further more you get traffic from the different prompts and not necessarily all your readers will visit all posts, so the ones from the prompts will have their own audience, to me the key is to always keep on writing no matter who is reading, i just enjoy the process. you have blossomed Sadje, it is good to have some reflection on what you are doing but don’t let it deter you. well done on your achievements! Thank you Gina. I appreciate your detailed feedback and encouragement. And to the question – probably, but l write for me first and foremostly, then l write for an audience – people don’t have to read it. I reblog a lot, share a lot, and on average post of my own original daily content roughly 8 – 12 posts a day. Thanks Rory. You’re right! We do write for ourselves first. As others have said, do what brings you satisfaction. I cannot possibly keep up with so many posts and have lost track of how many of yours I’ve missed, but that shouldn’t stop you. A blog is a space meant for you to find your voice. I have so many prompt posts that nowadays, unless I need a break, I write anywhere from 5-10 or so everyday. Like they say it is your blog and your choice how often you write. If writing multiple posts is giving you joy, then go ahead with it. Readers may read all the posts or may not. You should only post when you feel like posting. But most readers won’t read posts if the person is posting too many posts a day. Sadje, you might have noticed that the largest blogs — the 800 pound gorilla blogs — post frequently. At least 4-5 times a day in most cases. Those blogs can have 50,000 or more followers and hundreds of comments on each post. Once, when I was about six months into blogging, one of the gorillas linked to a post of mine. Over 6,000 hits in 24 hours. Another 4,000 the next day. That kind of got my attention, by the way. I think you have to decide for yourself how often to post — but if you are asking whether most readers are offended by frequent posts, the answer appears to be that most are not. Thanks a lot Paul first r the detailed response. I appreciate your feedback. I think I will take the useful advice offered here. Thanks again. Do what YOU want to do! That’s clearly the message from all the interesting responses I’ve read. I enjoy your posts, although I don’t manage to respond to all of them. It’s always worthwhile when I do. Readers can dip in and dip out. It’s up to them. Spot on, Chris! How can it burden readers to post as many posts as you like? You are not forcing them to read ever post. Very good point! Thanks Chris for your feedback. I got really great advice from all my readers. Thanks a lot Kristian. I got very valuable feedback from my friends here in the blogosphere. I like your suggestions too. Will try to implement them. I haven’t been following your blog for very long but I will add my two cents. I think you can tell a lot by your stats. More posts probably means more views but I would think if you are overwhelming peoples emails or readers with posts you followers would be dropping off. I am thankful for the wordpress reader – I would not follow so many blogs if they all came through email. But with so many blogs that I follow I don’t have time to read every post by every blogger. I think most importantly is if readers are engaged – leaving meaningful comments. Views, likes and followers don’t really mean anyone is reading. I get the impression though that you are somewhat dissatisfied with it because you are not sticking to your niche. If that is the case I would suggest limiting you response to prompts to mostly ones that you can include in your chosen topics. Personally I would love to see more posts on your “niche” topics. Thanks a lot, Ruth. I appreciate your feedback and comments. I will try to do both. Follow you heart, Sadje! I don’t think anyone can post too many times a day but I believe in quality means more than quantity. There are numerous and delightful prompts in WP land and I found I had to become more selective. I don’t want to write just for the sake of writing. I need to feel it. You’re right. I need to do that too. It depends on what you want, or so it seems to me. Frequent posts do seem to be less quality content for many bloggers, but frequent posts also build blogs. I, personally, tend to skip over numerous blogs by the same blogger, but read the ones that catch my eye of the title. We all want more and more people to read our posts and blogs, if we were really honest with ourselves, but the pull is, we also want to express or say what we really want to say….. So, Sadje, if you can say what you want to say and post numerous times, you probably should IF you are fulfilled by it. On the other hand, if it becomes a burden to post and manage the posts, comments, etc. and you feel like you’re not on target of what you really want to say, then maybe you should back off a little. It’s a hard question to answer when enough is enough, not enough, or too much. It is such a hard balance…. Well this is a nice post………. Specifically this post is good for new bloggers like me. Yes you should post when u feel like but Posting too much is not a good option that’s what I think. May be it decreases interest in readers but it’s may be. But If you have good content and you feel like sharing then go on post as much as you can. Thanks for sharing your feedback. You’re right sometimes posting too much can decrease the interest and interaction with the readers. I thoroughly enjoyed reading this post as well as all the comments. I am thankful for the nomination. Yes I have to a degree reached a conclusion. Sadie, what excellent readers and commenters you have. All the wisdom you need for your decision has been delivered with grace already and I can add nothing. Now on another topic—you kindly commented on today’s Cat Thinkies, whereupon I promptly deleted your comment and blocked future ones, even though I always love hearing from you. But I suddenly remembered that my last post on this very sad event (you called it right) started to attract trolls. To keep the trolls out I have to keep everyone out. It’s just for this post, by the way. Thanks for sharing your feedback. Yes you’re right. Better to be careful. Thanks a lot. Just was reading your post.